Return on Investment is a popular term and everybody is worried about getting a handsome return on every investment they make. But have you thought of investing in yourself, such that you become the biggest asset for yourself? You are already the biggest asset, for the Society, you may wonder. Well, you may be the biggest asset for Society, but are you, getting the best return, that you are worth. Are you the best version of yourself? Have you got rid of every habit every shortcoming, that pulls you down. Procrastination, or talking ill of others, or just gossiping around, overeating, binge eating, it could be anything. Each one of us, however complete we may seem, have a couple of these habits, which weigh us down. Such is their weight, that they keep haunting us some time or the other. And while these may be impossible to get over, we don’t even seem to get affected by them. But these, seemingly harmless traits in us, have the caliber to stop us from reaching our full potential. In fact, at later stages, these habits, take bigger forms, which can never be won over. You can be your true self, only by taking over, these smaller roadblocks. And it’s easy. Just 5 minutes, a day, with yourself alone in self-contemplation, while meditating, can do wonders for you. The meditation technique taught by Baba Ram Rahim, where we meditate on God’s name, it’s like calling him, reaching out to him, has really worked for me. I meditate, to feel my true self, connect with it and in turn connect with God, as HE and I are one. 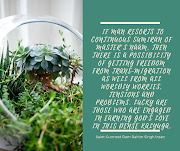 Baba Ram Rahim truly has given me a new direction in life and the more I sit in meditation, as guided by him, the more connected I am to everything. And I can give my 100% in every, activity, by ditching my negative aspects. As these, negative qualities of me, are visible to me, now even more through this act of meditation and self-contemplation. And the best part, it’s super easy and once you get used to it, it’s like you have taste blood. You would want to sit in meditation more often, even for hours together. 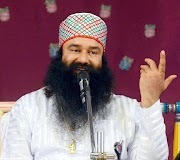 As you feel supercharged, someone is charging you and that is almighty, as exhorts Baba Ram Rahim Guru. Even though initially I was too skeptical about this whole meditation, thing, but thank God, I pushed myself and listened to my inner voice. This has been my life’s best decision, of taking “Naam”, or knowing “God’s true words” which connects one to the supreme creator. All my apprehensions, negativities have gone, and life is like a fairy tale. My the mind is still, thoughtless, for 90% of the time, and I can give my 100% to whatever task I have at hand. Now as per sacred texts, winning over your minds, is the toughest nut to crack. In the words of a Saint, I am not sure if it was Kabir Ji, he says, If somebody says I have drunk the water of all rivers, I can believe that however unbelievable this statement is. 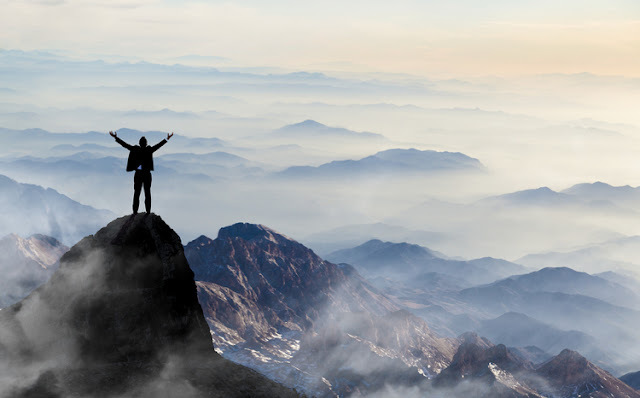 Similarly, if someone claims I have climbed every mountain that exists, I will believe it, too, but if someone says, I have won over my mind; I can never believe that as that is impossible. So you see winning over your mind, is the biggest challenge you can throw at yourself for optimum utilization of your potential. So why not, start today, look out to invest time in you. Sit in contemplation. But wait a minute; you would need God’s words. You can also thank God for everything he has given you, and ask him for further guidance as you sit in alone time. 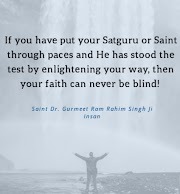 Baba Ram Rahim’s other words here, basically the slogan that he has given is “Dhan Dhan Satguru Tera Hi Asra”, which means thanking the supreme creator and we are solely dependent on you. As you say this, pat comes he, to acknowledge and safeguard you. Baba Ram Rahim’s followers utter this slogan as a greeting while meeting each other or at every single opportunity after they wake up, sleeping time, etc. Keeps them grounded, and we all need to, don’t we. Even for a permanent electrical connection, it has to stay grounded, via the earthing process if you know. And we ourselves are huge powerhouses, how can we function without earthing. So get your things fixed and keep your connection alive for eternity. Just sit 5 mins with yourself alone. 5 mins investing in yourself, every day will help you in removing your evil habits. Sit in if you want to see someone, see the bad qualities, of yourself and good qualities in others. So you get the good qualities of others and get rid of your own evil habits.